An old adage reminds us that “we do not inherit the earth from our parents, we borrow it from our children.” Same can be said about our Lake Mainit - we did not inherit it from our kapopo-popoan and kauya-uyahan, we simply borrow it from our kabataan and ka-apo-apohan. As “borrowers,” we are responsible in ensuring that when we ”return” it, Lake Mainit remains a living lake for our children and our grandchildren. We are bound to conserve its resources and preserve its beauty. Lake Mainit is the fourth largest lake in the Philippines and the second largest in Mindanao, having a surface area of 173 square kilometers. The lake is also the deepest lake in the country with a maximum depth of 223 meters. The largest lake in the country, Laguna de Bay, has a maximum depth of only 20 meters. In January 2004, it was declared as the most transparent lake in the Philippines having a 6.65 meters Secchi depth. 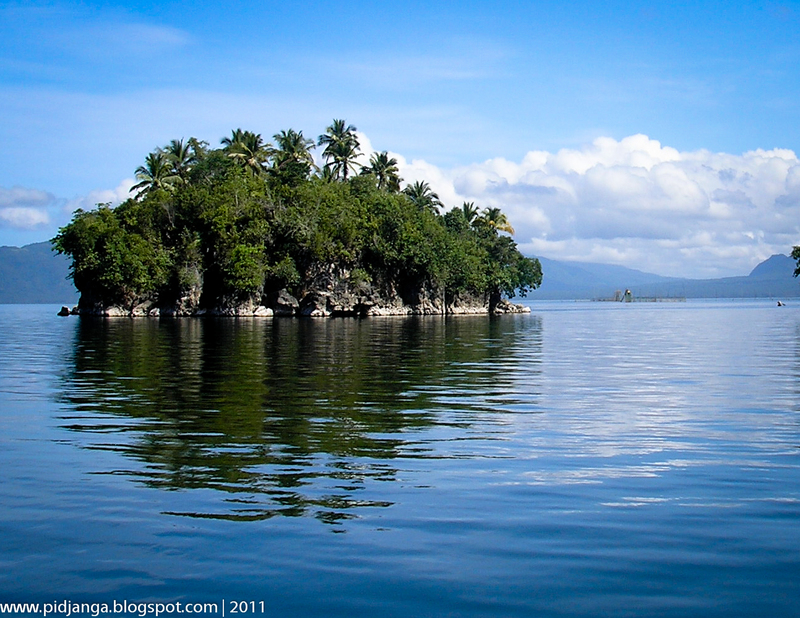 Lake Lanao was the most transparent lake from 1932 to 2004 when it registered 6 meters Secchi depth. Lake Mainit can absorb 1% of the indirect sunlight up to a depth of 13 meters indicating that primary production is distributed throughout a substantial depth. The lake water is greenish and odorless with an average transparency of 3 meters. The coastal areas are sandy mud. The lake is fed by more than twenty small rivers and creeks but has only one outlet, the Calinawan River, which flows southward to join Aciga River and forms the Tubay River which eventually flows out into Butuan Bay. 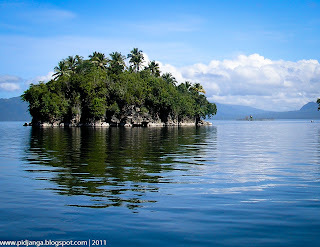 The lake is located in the northeastern part of Mindanao and shared by the provinces of Surigao del Norte and Agusan del Norte. Clustered around it are the municipalities of Alegria, Mainit, Sison and Tubod in the province of Surigao del Norte and the towns of Jabonga, Santiago, Tubay and Kitcharao of the province of Agusan del Norte. The lake is home to several plant species especially in the marshy areas. Land around the lake is intensively cultivated. There are about 24 economically important fishes found in the lake. The rich fish fauna includes non-migratory (pidjanga, palawan, hayuan, pantat, bakag, and pait-pait), migratory (bangus, bayanak, gingao, kasili, kikilo, bolinao, etc), and introduced species (tilapia, karpa, gurami, etc). Some species of freshwater shrimps (isik, pasayan, etc) are also found in the lake, as are shellfishes (ige, bebe, kiyambuay, etc). A number of bird species, including waterbirds who use the lake as feeding areas, are also identified within the vicinity of the lake. The lake supports an important fishery with an annual production of more than 300 metric tons in the 70s. The economy of the municipalities around Lake Mainit is heavily dependent upon the agricultural production concentrated around the perimeter of the lake. The lake is state-owned but the agricultural lands and the ricefields around it are privately owned. In the past, two timber companies operated in the water catchment area. Currently, there are mining explorations in the lake’s catchment area. Indiscriminate gathering of raw materials, especially sand and gravel from the lake shore are hauled and sold as housing or as road filling materials. The mouth of the lake outlet is increasingly becoming shallow as a result of silt deposition in the area. The shallow mouth prevents rapid exit of the water, consequently flooding the lower portions of the lakeshore including the ricefields. Erosion from the denuded mountainside where timber and mining companies operate threatens the watershed area as well as the lake. Mining wastes, domestic sewage, fertilizers and pesticides are serious pollutants of the lakewater. Our world experiences a continuous process of transformative change. Our task is to develop solutions to the unprecedented problems facing humanity-and to do so quickly. This is a call to action and a call to commit one's energy and passion to the betterment of the world,and the preservation of what is precious and beautiful in nature. The disturbances and threats to Lake Mainit are crucial environmental issues. Let us influence policy decision makers, politicians, business people and other stakeholders. Let us work towards achieving concrete conservation targets and encourage fellow Mainitnons, organizations, corporations, and our local governments to take action towards protecting our precious natural resource: Lake Mainit. Wild and semi-wild plants and animals contribute significantly to nutrition, health care, income, and culture of developing countries, and the poorest and most vulnerable people often rely on those resources. Depleting those resources or making them inaccessible can impoverish these people even further. ‘Pro-poor conservation’, that is, conservation that aims to support poor people, explicitly seeks to address basic human needs. Each of us has a responsibility to the area we live in. If we don’t take action, personally or by voicing out our sensible ideas and opinions to the authorities, chances are, nothing will be done. Let’s bring our concerns about environmentally sensitive areas before our local officials. We can share our time or volunteer through a local conservation group. We can encourage others to adopt a greener lifestyle. When we need more information relevant to the environment, we can always become proactive by doing research or simply ask people more knowledgeable about it. Let’s keep the beauty of our lake. We can remove garbage from the lake because many items take years to degrade and are dangerous to wildlife. We have the choice not allow dogs and other animals to disturb or foul the wildlife at the lakeshore. If there are no garbage cans, we can ask the local council to provide some.And how about disposing our sanitary waste properly - not down the toilet – or we might just find it on the lakeshore endlessly.Also, we can report anything unusual such as pollution to the Barangay Captain concern. In many small ways, we can always tap our God-given power to preserve and conserve the integrity of our natural resources, foremost is our Lake Mainit. We owe some gratitude to the past generations for their respect of Lake Mainit, and some responsibilities to protect it to the present as well as future generations. So we can keep on feasting with our lives with the Lake.